Referred to by the late Jerry Wexler as one of the men most responsible for the Southern Rock sound that came out of Macon, Georgia, in the ’70s, Johnny Sandlin’s music career began in the early ’60s playing with many legendary musicians, including fellow HourGlass band members, Paul Hornsby, Pete Carr and Gregg and Duane Allman. A Capricorn studio rhythm section player, he later became a recording engineer, producer and vice-president of Capricorn Records and head of A&R. Sandlin also produced, mixed, and mastered albums for the Allman Brothers Band, Gregg Allman, Gregg and Cher, Richard Betts, Johnny Jenkins, Elvin Bishop, Wet Willie, Bonnie Bramlett, Alex Taylor, Cowboy, Delbert McClinton, Widespread Panic and many others. The Allman Brothers Band was formed in 1969 by Duane and Gregg Allman, along with Berry Oakley, Dickey Betts, Butch Trucks, and “Jaimoe.” Their musical combination of the elements of rock, blues, jazz, and country was hugely successful and continues to stand the test of time. Filled with more than two hundred captioned images, this new book chronicles Jack Weston’s collection and other items of The Allman Brothers Band memorabilia from 1969–1976. Weston and Perkins discuss in detail the various categories and aspects of band collectibles from that period. The book not only highlights individual collectibles, but also explains where to find them and how to preserve them. Included are band instruments and equipment, t-shirts, apparel and merchandise, autographs, bookkeeping documents, passes, posters, tickets, programs, promotional items, vintage photographs, and more. Galadrielle Allman, daughter of the late Duane Allman, offers an introduction that is both intimate and informative. Fans of classic rock music and The Allman Brothers Band alike will find this book irresistible and prepublication interest from fans has been phenomenal. CAPRICORN RISING: CONVERSATIONS IN SOUTHERN ROCK is a collection of interviews with many of the stars, producers, and associates of the 1970s Southern record label, Capricorn, which was founded in the heart of Macon, Georgia in 1969. Author Michael Buffalo Smith collects word for word, the complete interviews with Capricorn artists including Gregg Allman, Dickey Betts, George McCorkle, Bonnie Bramlett, Paul Hornsby, Johnny Sandlin, Chuck Leavell, and many others, providing a glimpse into the early 70s when Southern Rock was born in Macon. FROM MACON TO JACKSONVILLE is the follow up to CAPRICORN RISING by author Michael Buffalo Smith. While CAPRICORN RISING collected over twenty years of interviews with the many stars that came out of Macon, Georgia's Capricorn Records during the 1970s, FROM MACON TO JACKSONVILLE features in-depth interviews with many more of the stars that came out of Florida, Georgia, and the Carolinas during the hey-day of Southern Rock. 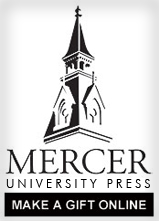 More than Precious Memories is a collection of essays offering scholarly analysis and interpretation of Southern Gospel music. Other issues touched on include the Gaither Homecoming songbooks, theodicy, identity construction, Thomas A. Dorsey, postmodernity, and the Internet. Willie Perkins left the staid, conservative world of commercial bank auditing to jump headlong into the burgeoning beginnings of The Allman Brothers Band and follows their meteoric and sometimes tragic rise, fall, and revival. Perkins’s interest in the business of music and his association with an interesting pair of friends led him to the opportunity to work with the Allmans at the earliest stage of their career. For the first time we learn from a true insider what it was like to live the nomadic life on the road with the Allman brothers. Willie Perkins left the staid, conservative world of commercial bank auditing to jump headlong into the burgeoning beginnings of The Allman Brothers Band and follows their meteoric and sometimes tragic rise, fall, and revival. Perkins’s interest in the business of music and his association with an interesting pair of friends led him to the opportunity to work with the Allmans at the earliest stage of their career. We learn from a true insider what it was like to live the nomadic life on the road with the Allmans from their earliest low-buck club tours through the triumphant million-dollar months of outdoor stadium dates in the mid-seventies. Perkins vividly describes living in the band’s “Big House,” and what it was like to room on the road with the legendary Duane Allman and what a truly amazing person he was. The author tells of all the band and crew members, and shares how they all dealt with the bumpy road to rock stardom. Prisoner of Southern Rock is the unlikely story of one Southern boy’s rise from near poverty to a respected Southern music historian, specializing in the sub-genre known as Southern Rock. The book traces Smith’s journey from his meager beginnings in upstate South Carolina to his work as a musician and journalist during his college years and his destined founding of the Southern rock magazine Gritz following a near-death experience from a chronic bacterial infection. Prisoner of Southern Rock also includes never before seen photographs, quotes from Southern Rock’s finest, and an annotated list of the 100 Defining Moments in the History of Southern Rock. Rebel Yell: An Oral History of Southern Rock presents the story of a musical genre born in the backwoods, highways, and swamps of Macon, Georgia, and Jacksonville, Florida, in 1969 and peaking in popularity during the 1970s. This history of Southern rock is told by the musicians, roadies, fans, and recording industry folk who lived it. Drawn from literally hundreds of hours of interviews with the author, the book focuses on the "big four"--The Allman Brothers Band, Lynyrd Skynyrd, The Marshall Tucker Band, and The Charlie Daniels Band--while delving into the careers of other great bands like The Outlaws, Bonnie Bramlett, Cowboy, Wet Willie, and Molly Hatchet. The story is enhanced by the photography of Kirk West, Bill Thames, and others, and includes many never-before-published images. Also included are a series of "Top 20" lists--including the best Southern rock vocalists, guitarists, songs, and more.